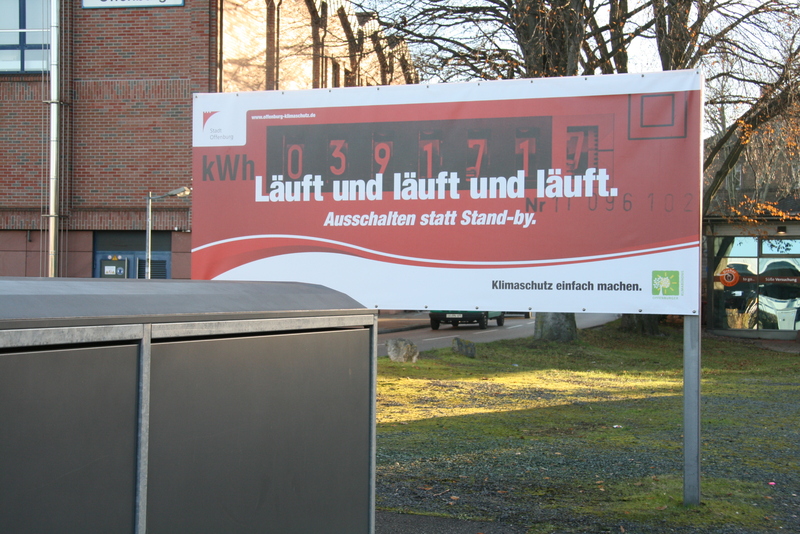 The city of Offenburg aims to reduce its CO2 emissions by 20% by 2020. To achieve this, it has set up an ambitious climate protection plan, with areas for action including mobility management, energy-efficient renovation of public and private buildings and raising public awareness of the issues. 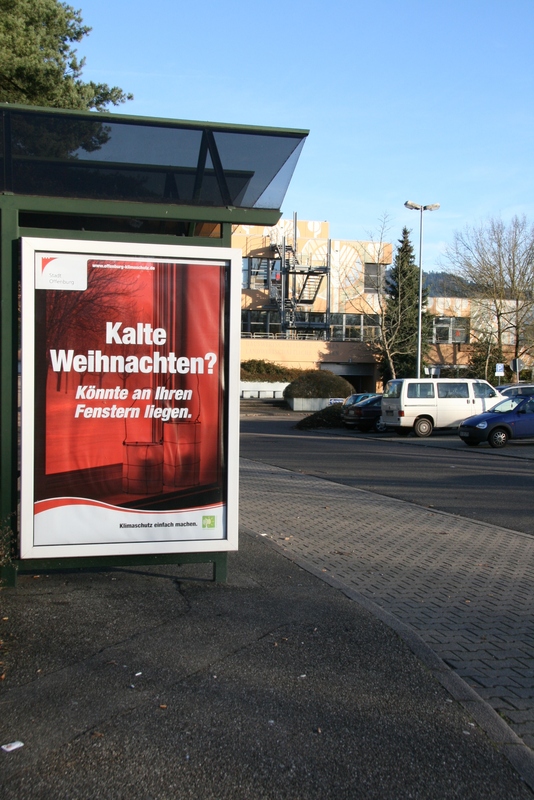 tippingpoints has developed a multimodal outdoor campaign that promotes behavioral change. With billboards, adverts, ambient media, events and promotions, we are taking the climate change message to the city streets to bring about behavioural change in the areas of energy consumption, mobility and consumption. The widespread support from local media partners and sponsors also means that we are able to reach the widest possible audience.